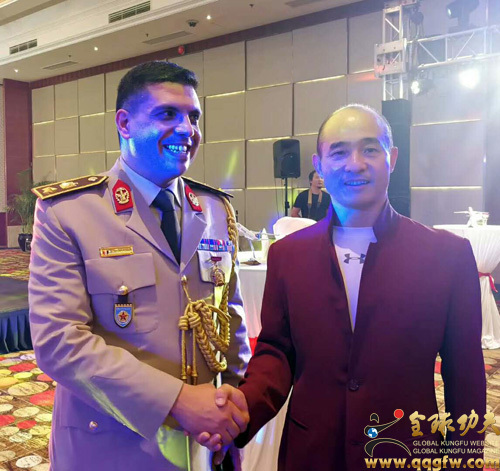 Global Kungfu News, 17.10.2018, the 45th Army Day of the Arab Republic of Egypt was held in the Grand Banquet Hall of Kempinski Hotel Beijing. Invited guests of foreign envoys and military officers from dozens of countries as well as friendly people from all walks of life attended the celebration.They were Egyptian Ambassador Mr.OSAMA ELMGDOUB, Brigadier General of the United Nations.Goodwill Ambassador of the United Nations and president of International Kungfu Federation(IKFF),Mr.Fu Biao and President of Orendo International Media,Mr.Ren Jiayu etc..
Firstly, the national anthem of the two countries, "The Motherland, the Motherland, the Motherland" and "The March of the Volunteers." Brigadier General Heller delivered a speech at the reception, and we gathered together tonight to celebrate the Egyptian Army Day. 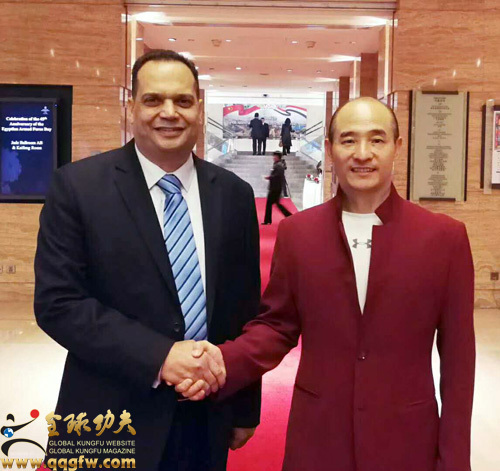 Fu Biao and the participants mentioned that Egypt is one of the world's four ancient civilizations, the earliest kingdom in the world, the second largest country in Africa, and the third largest economy in Africa. It has long been in the leading position in Africa in the fields of economy and science and technology. In particular, it has a wide range of influence in the Mediterranean, Middle East and Islamic faith regions. 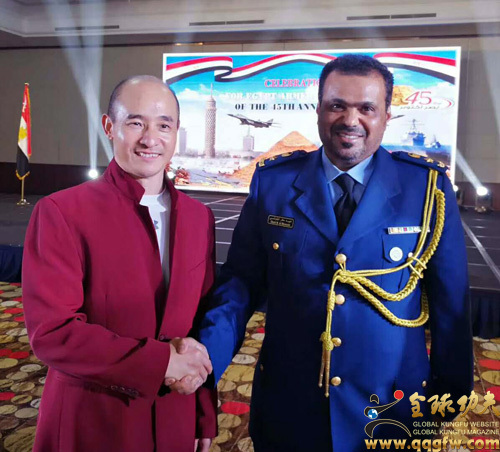 Fu Biao pointed out that China and Egypt have a long history of civilization and the relationship of friendship and cooperation has a long history. Egyptian sports has a long history, and the level of sports is higher in Africa. Thousands of years ago, the Egyptians carried out more than 30 kinds of sports activities such as boating, wrestling and hunting. 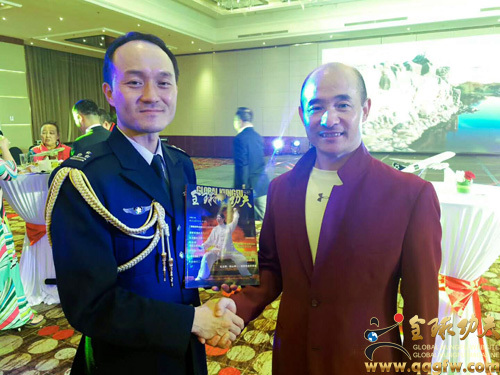 The military officers of the two countries jointly cut the cake to celebrate and witness this memorable celebration. The activity lasted more than two hours. 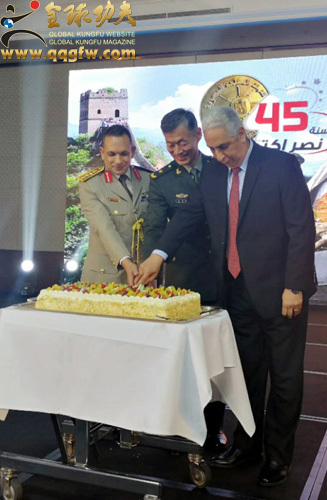 People relived the significance of the war in Sinai on the rebirth of the Egyptian people, shared the great power of the Egyptian people to restore the Suez Canal, and appreciated the "Dunhuang Song and Dance" and "Sahara Dance" presented by the literary and art circles of the two countries. It is filled with a warm and friendly atmosphere.